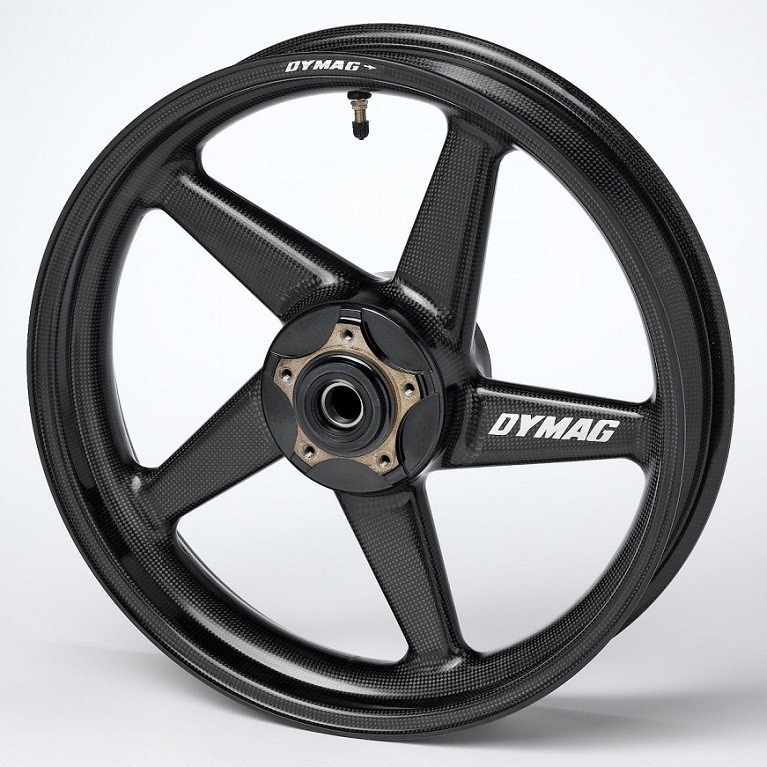 Carbon Fiber wheels for the Virago 250 ? 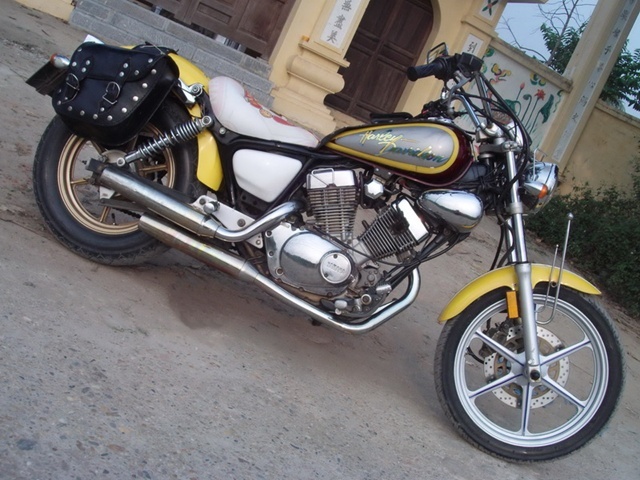 I bought my 2002 Virago 250 for $ 1,200 – so spending $3,000 to 4,000 for a set of wheels would probably not be a good idea. 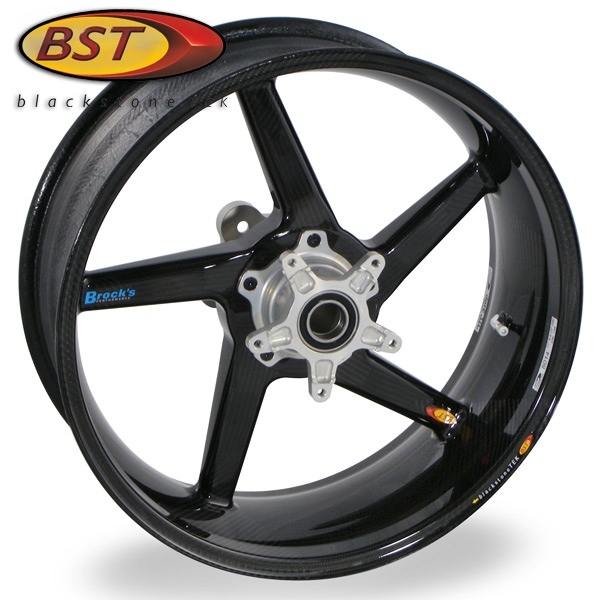 With carbon fiber wheels you get better acceleration, better handling, greatly reduced stopping distance. You see them mostly on race bikes, a few street bikes, and some custom-made bikes. And they look incredible. Hopefully, over time, the prices will drop. 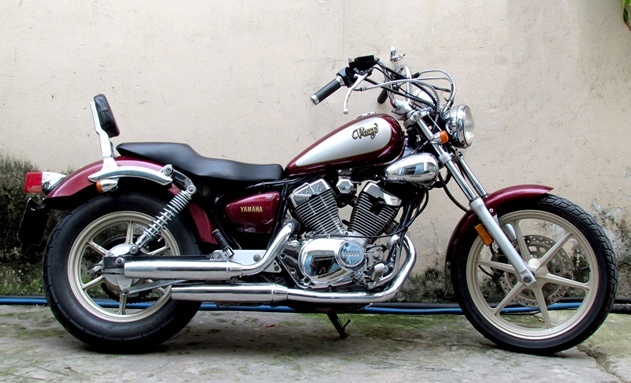 Lighter wheels (at a reasonable price) would improve the performance of the Virago 250 (better acceleration, better handling, and reduced stopping distance). 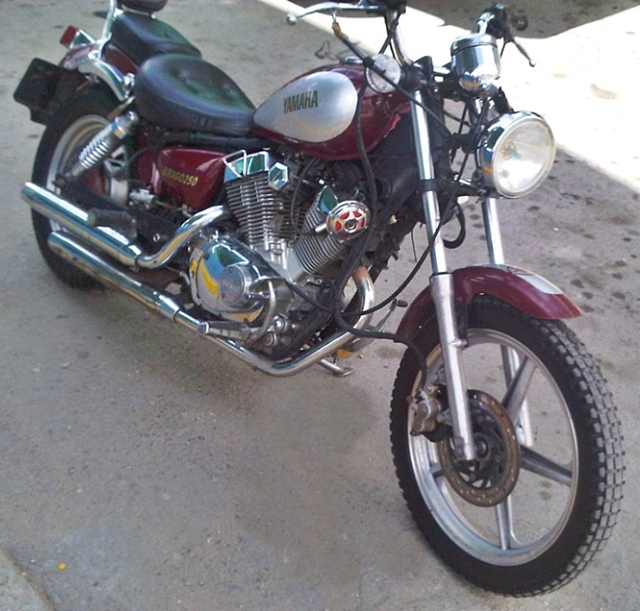 A year ago, I looked for alloy wheels for my Virago 250. 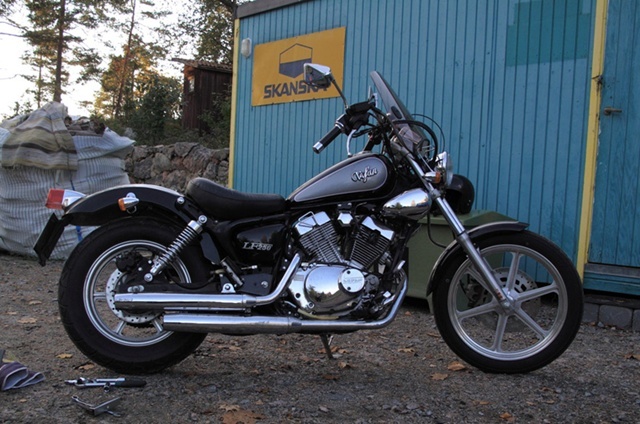 I live in the US – we got only the spoked wheels – Yamaha put alloys on some of the Virago 250’s built for other countries. 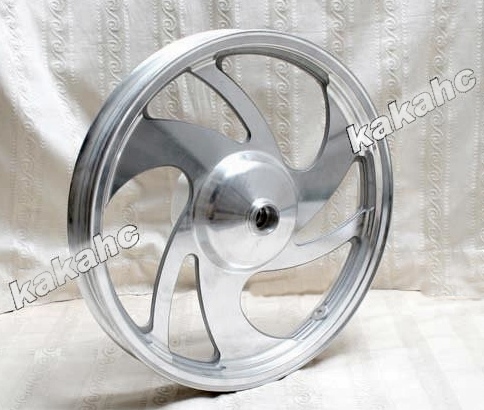 The only one I found for sale was the “aluminum front wheel for Virago 250” you see on ebay for $114 plus $59 shipping. 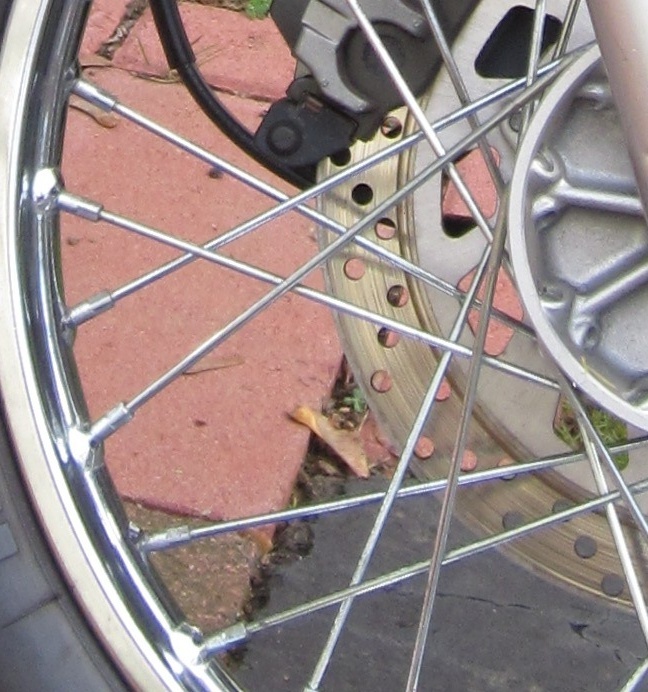 Finally, I gave up on finding alloy wheels and just polished the wire wheels that are on the bike. Shiny wire wheels look really good with a wider rear tire. 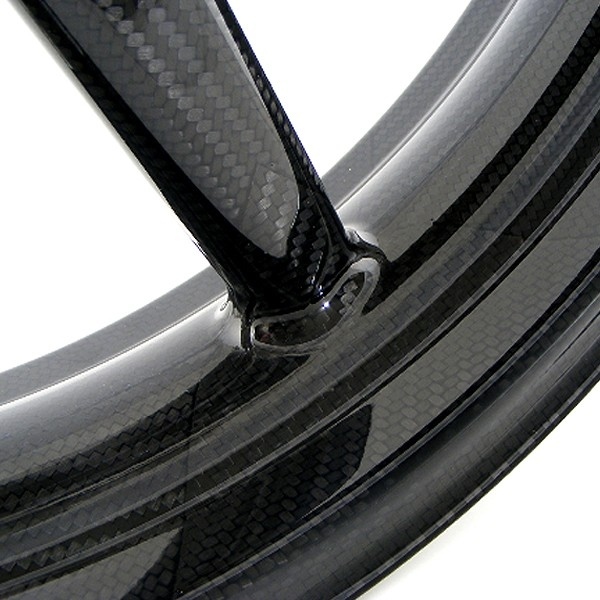 But I would still like to have alloy wheels, or even carbon fiber wheels, if the price was right.